Kramatorsk is a city of regional significance located in the northern part of the Donetsk region of Ukraine. From October 11, 2014, this city is the seat of the administration of the Donetsk region because the city of Donetsk is not under the control of the Ukrainian authorities. 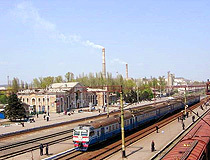 Kramatorsk is also an important engineering center and railway junction. The population of Kramatorsk is about 155,000 (2018), the area - 357 sq. km. The phone code - +380 6264, the postal codes - 84300-84390. Local time in Kramatorsk city is April 21, 9:27 pm (+2 UTC). According to archaeological research, people began to settle in the territory of present Kramatorsk and its suburbs in ancient times. In the north-western outskirts of Kramatorsk, quarries and workshops of the Neolithic era were found, which existence continued in the period of early Copper Age. In the suburbs of Kramatorsk, the burial of the metallurgist of the Bronze Age was also discovered. In the second half of the 17th and early 18th centuries, this region was massively populated by Cossacks. At the end of the 1860s, during the construction on the Kursk-Kharkiv-Azov railway, the Kramatorskaya railway station was built near the Kazenyi Torets River. 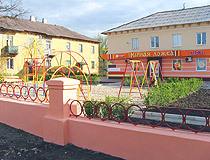 Near this station, a settlement appeared which eventually became known as Kramatorsk. In 1896, a important event happned that determined the future of Kramatorsk. It was then that Swiss Conrad Gamper took Russian citizenship, bought a land plot near the Kramatorsk station, and his company began construction of a mechanical plant. Today, it is known as Starokramatorsk Machine Building Plant. In 1897, the plant shipped its first products to customers. Conrad did not stop there. In the spring of 1899, he founded the Kramatorsk metallurgical society, and in the same year the first blast furnace was put into operation at the Kramatorsk metallurgical plant. He gave a powerful impetus to the economic development of a little-known settlement of workers that grew up here at the end of the 19th century. The name of Conrad Gumper - the founder of mechanical engineering and metallurgy in Kramatorsk - occupies a worthy place in the history of industrial development of Ukraine. At the beginning of the 20th century, other industrial enterprises were opened in Kramatorsk and around it. In 1918, Kramatorsk was temporarily occupied by German troops. A lot of effort was made to restore the industry after the end of the Civil War in the former Russian Empire. 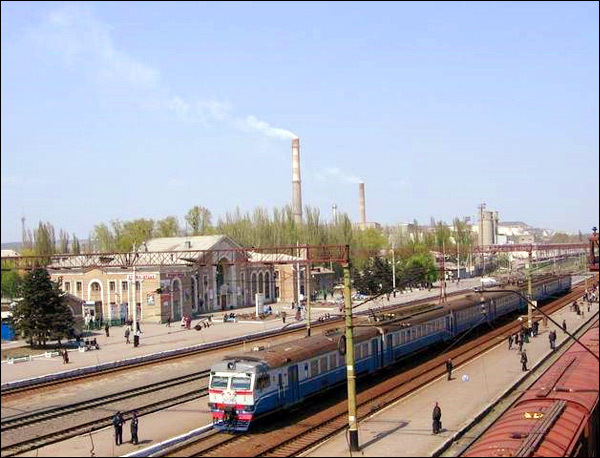 Kramatorsk engineering and metallurgical plants resumed production in 1920. 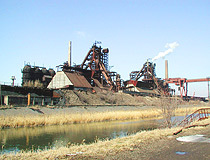 By 1926, the blast-furnace and open-hearth shops of the metallurgical plant surpassed the pre-war level of production. In 1926, Kramatorsk became an urban-type settlement with a population of about 12,000 people. In the 1920s, its old enterprises were modernized. October 8, 1929, the Novokramatorsk Machine Building Plant was founded. In 1932, Kramatorsk received the status of a town of the Donetsk region. May 1, 1937, one of the first Soviet plants for the production of heavy machine tools was founded in the town. 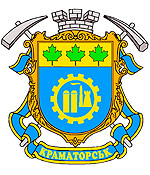 Kramatorsk engineering plants played an important role in the industrialization of the country. According to the census of 1939, about 94,000 people lived in Kramatorsk. October 28, 1941, Kramatorsk was occupied by German troops. The city was finally liberated on September 6-7, 1943. During the occupation, about 6,000 locals were killed, more than 10,000 people were sent to Germany for forced labor. All industrial enterprises were destroyed, as well as about 1,300 houses, 15 schools and a number of other institutions. After the Second World War, the destroyed plants were reconstructed and more than a dozen new industrial facilities were built. 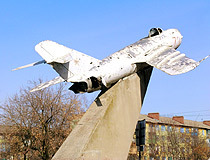 The 1950s and 1960s became a period of industrial, economic and cultural development of Kramatorsk. Interestingly, in Soviet times, the tour guides especially noted that Kramatorsk was a city of five sunrises a day. 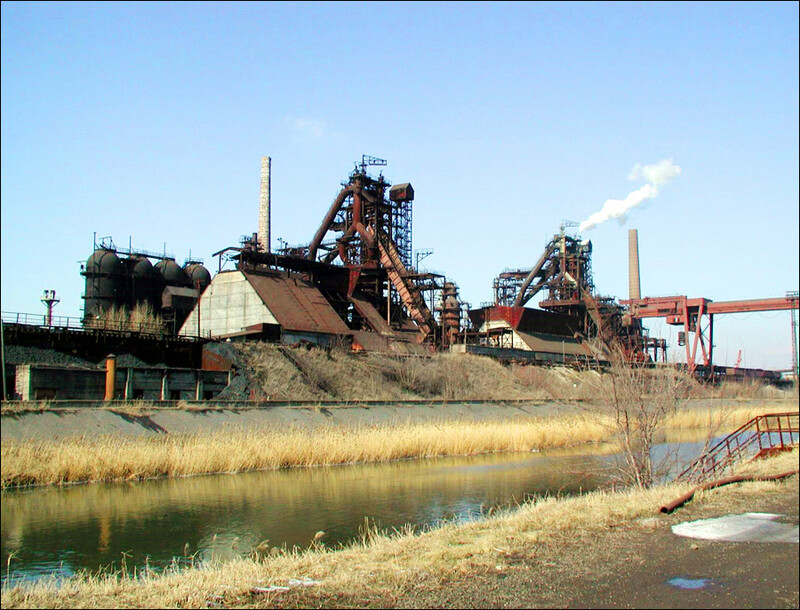 This was due to the fact that several times a day from the blast furnaces of the metallurgical plant liquid red-hot slag was taken out and poured into dumps, which in the dark looked like a red dawn, similar to dawn over the city, when suddenly it became almost light for a few minutes. 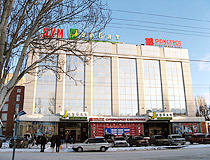 Since 1991, Kramatorsk is a city within the independent Ukraine. In the early 1990s, the break of economic and financial ties with the republics of the former USSR turned into an economic crisis for the enterprises of the city. 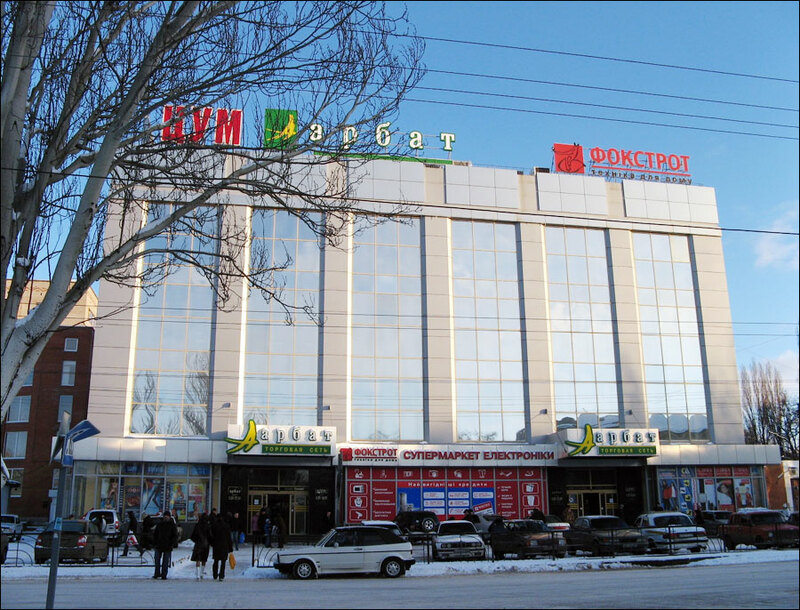 In 1998-1999, the situation in the industry of Kramatorsk stabilized. In the 2000s, the city industry began to grow again. September 4, 2008, the flag and new emblem of the city were adopted. October 13, 2014, Kramatorsk was declared the regional center of Donetsk Oblast. The name of the city comes from local toponymy, derived from the name of Kramatorskaya railway station. According to “The Guide on the Kursk-Kharkov-Sevastopol Railway” (1902), Kramatorovka was the erroneous name of Krasnotorka, which in turn was named after the Krasny Torets River (the other name of the Kazenyi Torets River). Kramatorsk and its villages are located in the valleys of the Kazenyi Torets River and its tributaries surrounded by hills. There are six explored mineral deposits on the territory of Kramatorsk. Today, seven types of mineral raw materials are mined: building, ocher, brick-tiled, and ceramic clays, chalk, molding and building sand. 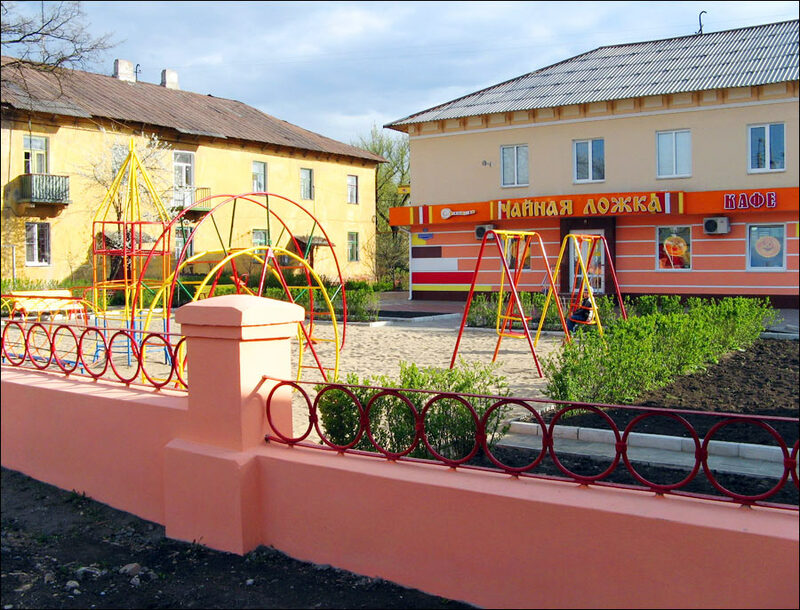 The climate of Kramatorsk is moderately continental with relatively cold winters and hot dry summers. The average temperature of the coldest month (January) is minus 4.2 degrees Celsius, the average temperature of the warmest month (July) is plus 21.2 degrees Celsius. 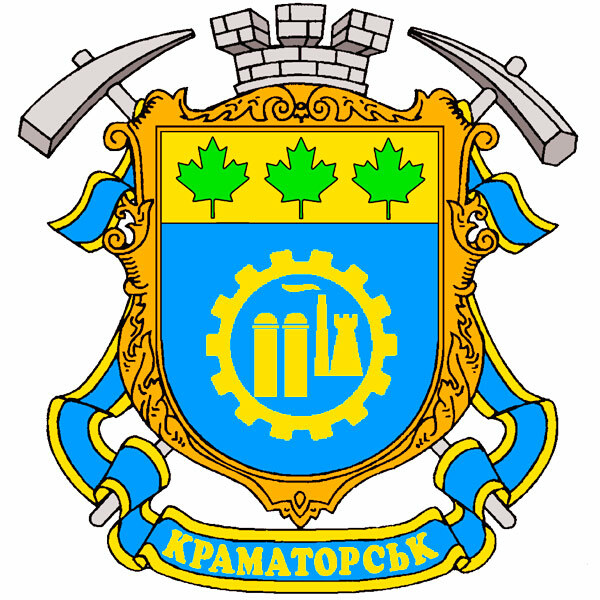 Kramatorsk is one of the most important centers of heavy engineering (metallurgical, mining, transport industries), jewelry production and science of Ukraine. Residential buildings of the city are represented by multi-storey apartment houses (2-5, 9, 14 storeys), as well as single-storey private buildings. In 2004, the Kramatorsk Regional Landscape Park with an area of 1,738.82 hectares was formed within the city boundaries. The exposition of the Museum of Kramatorsk is devoted to the history of this industrial city, in particular, the founding of the first enterprises in the 19th century, as well as the construction of the Novokramatorsk Machine Building Plant, the reason why Kramatorsk received city status in 1932. Also there is an interesting collection of Ukrainian folk costumes. A separate exhibition is dedicated to the Ukrainian actor L. Bykov, who spent his childhood in Kramatorsk. 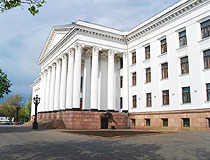 The Kramatorsk Art Museum is located in the same building, where works of famous Ukrainian artists M. Glushchenko, K. Trohimenko, T. Yablonska and others are represented.Vulytsya Akademichna, 60. Opening hours: 09:00-17:00. Day off: Sunday. 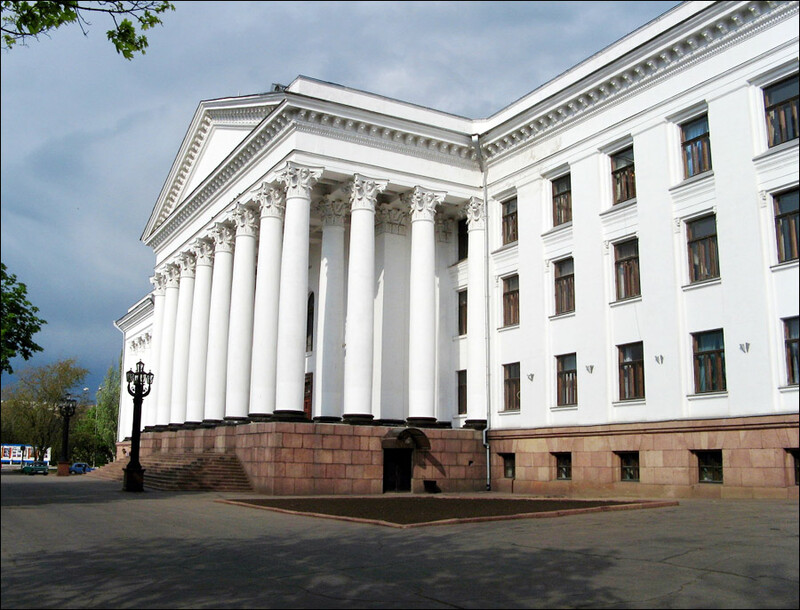 Palace of Culture and Science (Myru Square, 1). lou asks: Is this area (Kramatorsk) under control of the Kiev government or the "rebels", i.e. is it safe to travel to it from Odessa. Kramatorsk is under control of Ukrainian officials, but it is located relatively close to the conflict zone, so there are certain risks.